Sub: Reimbursement of Taxes/GST on the prescribed entitlement of Hotel accommodation/Guest House to Central Govt. employees - reg. 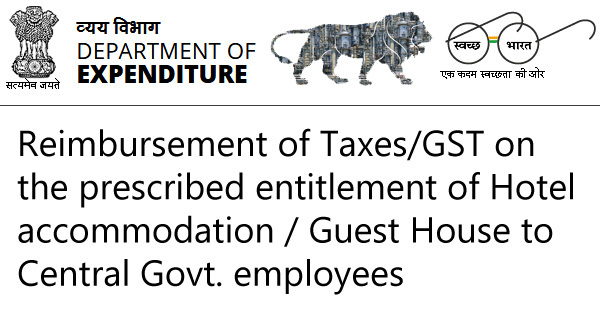 Various references have been received in this Department seeking clarification regarding admissibility of Taxes/GST on the prescribed entitlement of Hotel accommodation/Guest House as mentioned in Para 2E(i) of the annexure to this Department's OM No. 19030/1/2017-E.IV dated 13.07.2017.